You gotta make it look good as well as go fast because being well rounded is important. BMW Motorrad is celebrating its 90th anniversary with several special edition concepts including this re-imagining of their R90S. Privateer British rider Reg Pridmore won the 1976 AMA Superbike Championship on a highly tuned version of the R90S giving BMW its first US motorcycle racing victory. 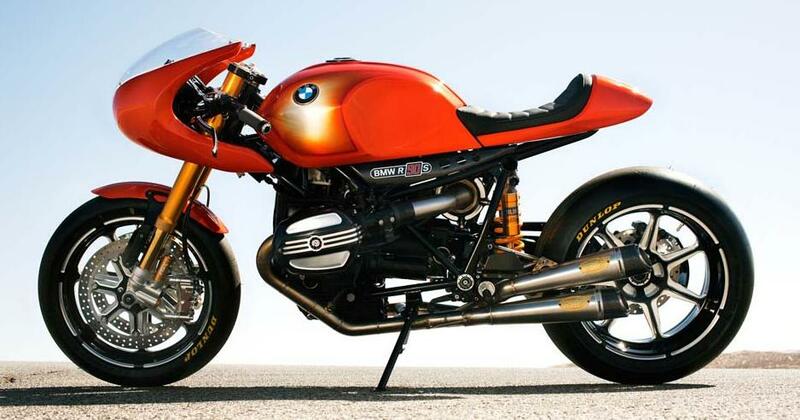 BMW designers teamed up with Roland Sands Design in California to create this Concept Ninety. **EDIT** May 26th, 2013: Turns out it sounds pretty good, too. I’ve always thought the Porsche Panamera to be kind of the ugly duckling of the automotive world. Kudos for Porsche for venturing into a new market segment with a highly capable four wheel drive four door sedan, but did they really have to force the 911’s shape on it? It works on the short wheelbase sport coupe that is the 911, but it made the longer and larger Panamera look really bloated. 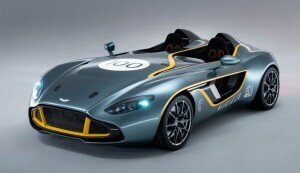 Good thing it drives awesome and you can’t see the exterior from the behind the wheel. Now Porsche has decided to evolve the Panamera one step further with the e-hybrid Sport Turismo model that was debuted at this year’s Paris Auto Show. Sport Turismo is the flashy name they came up with for station wagon. The wagon has a frustrating soccer mom stigma here in the US, but in Europe high powered wagons are considered very cool. I’ve even heard it said that wagons are the mid-life crisis solution for European men. I love wagons, so it sounds like a fantastic tradition to me. 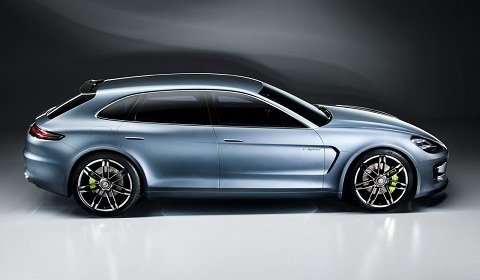 Something really interesting happened when Porsche’s designers set out to turn the Panamera into a wagon. Now that they had permission to deviate from the classic 911 shape, the Panamera started to fill out correct proportions and come into it’s own. The Sport Turismo looks absolutely fantastic. I think the it’s the car that the Panamera was meant to be. The ugly duckling has turned into the beautiful swan. 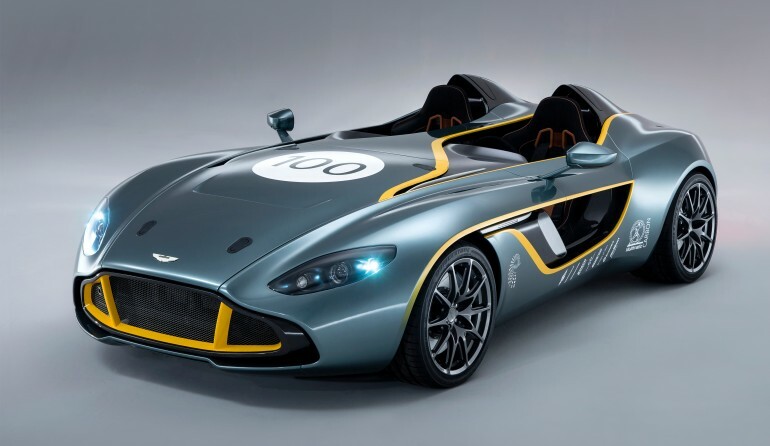 Check out the video to see the designers work from clay models to the finished concept that was shown in Paris. DRIVE channel’s Ride Apart segment featured this fascinating interview of the Vice President of Design for the Piaggio Group, Miguel Galluzzi. He is responsible for the design of the Ducati Monster and the Moto Guzzi V7 among other bikes. Hailing from Argentina, Galluzzi and his brother got their first motorcycle from their uncle as a birthday present instead of the drum set they were hoping for. From there they both started racing motocross before Galluzzi moved to Florida to study Mechanical Engineering. Once in Florida, Miguel transferred to the Art Center to study design. His work has been very influential in the world of Cafe Racers and naked bikes because he keeps things “simple and strong.” Watch the video to hear about the rest of his philosophy and what it means for a design to have soul.